I just spent four days participating in a terrific puppetry festival called the Great Plains Puppet Train. It was hosted by the Eulenspiegel Puppet Company in the small scenic town of West Liberty, Iowa. 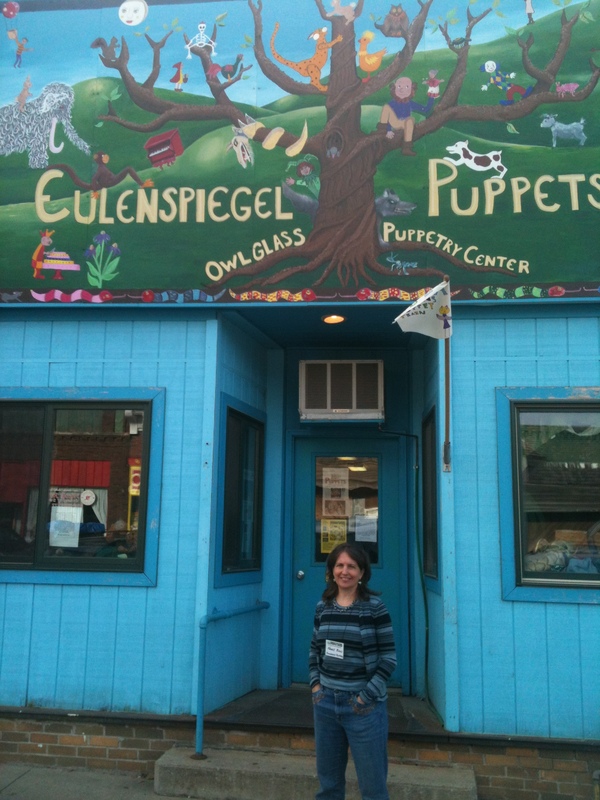 Nancy in front of the Owl Glass Puppetry Center, home of Eulenspiegel Puppets. I attended eleven puppet shows, plus a puppet slam (short pieces for adults), several workshops, and a barn dance! 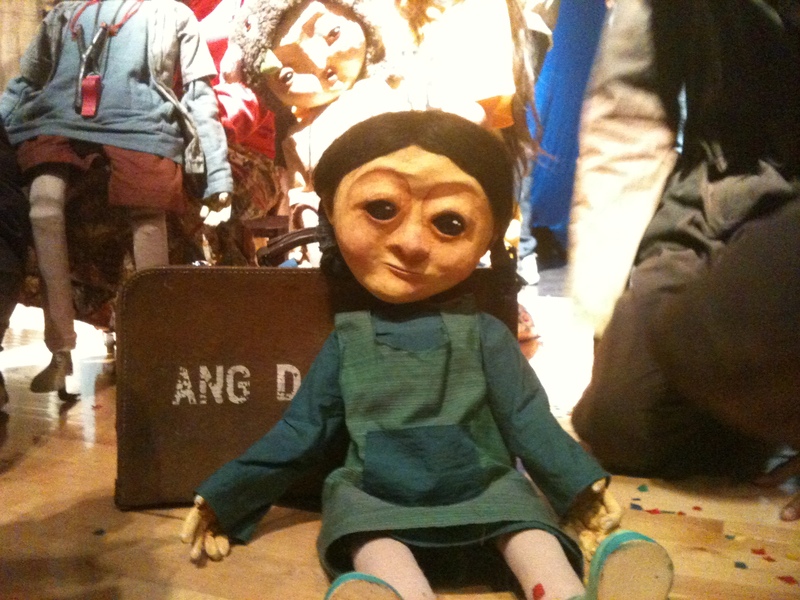 Here is a little girl puppet from Mwathyrika, Papermoon’s show. Many of the shows were wonderful, but the highlight was a performance titled Mwathyrika from the Papermoon Puppet Theatre of Yogyakarta, Indonesia (They call it Yogya, which sounds a little like Georgia!). They are in the US through a State Department cultural diplomacy program called Center Stage. 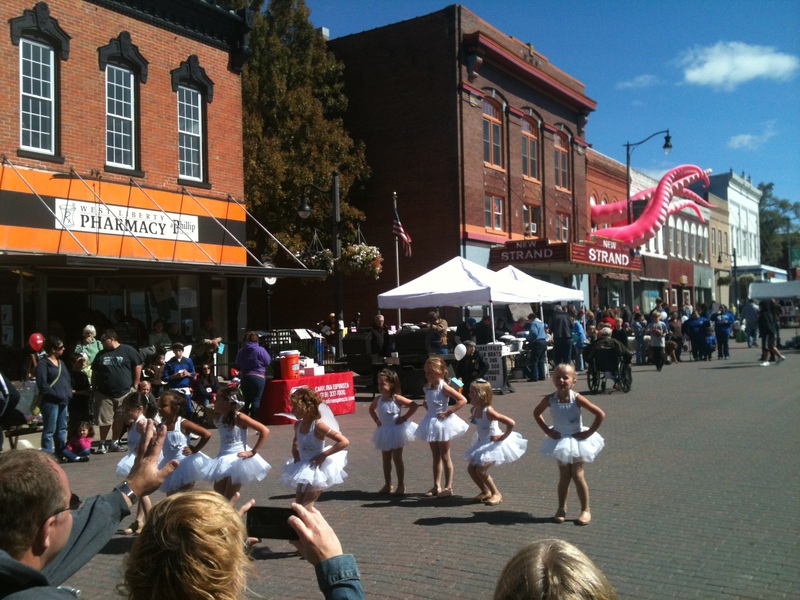 Dance students perform at the Children’s Festival, with the New Strand Theatre in the background. On Saturday, our festival was rolled into the West Liberty Children’s Festival. The day was beautiful, but cold and windy! There were five family-friendly puppet shows in the New Strand Theatre, and lots of activities on the street.